I discovered her website via Twitter and was interested to note that Stephen Fry follows her too, I was mildly surprised at that. 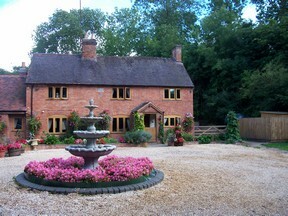 But Gothic Charm School, The Lady of the Manners’ website, is definitely worth a click by anyone, Goth or not. 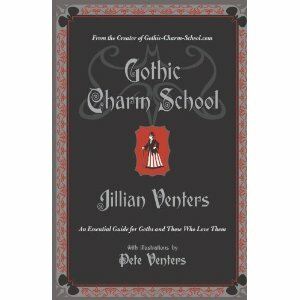 She explains neatly and concisely what Goth is all about in her four short videos, while plugging her book ‘Gothic Charm School – An Essential Guide for Goths and Those Who Love Them’ – yes it has been added to my ever-expanding to-read list! She also talks about Gothic arts and crafts in the fourth video, which may be of interest to the ladies at Sew Make Believe, as Goths are usually pretty creative people – out of necessity usually, as finding non-cheesy or well-made Gothic clothes and accessories can be pretty tricky sometimes. Also, as Jillian Venters (The Lady of the Manners) explains, we are polite, nice people who know what it is like to be picked on and excluded, so are unlikely to make anti-social meetup members. It is also thanks to Twitter that I have discovered Etsy, which is a really cool site for crafty people to sell their handmade creations and for shoppers to bag a unique item or two, Goth or not. I recently Tweeted a very cool pincushion or two that I may buy in the not-so-distant future which was found on Etsy.